Posted on April 19, 2016 by epuszczewicz. Whether it be an ESD Table Mat or an ESD Floor Mat, making the best choice can be difficult. 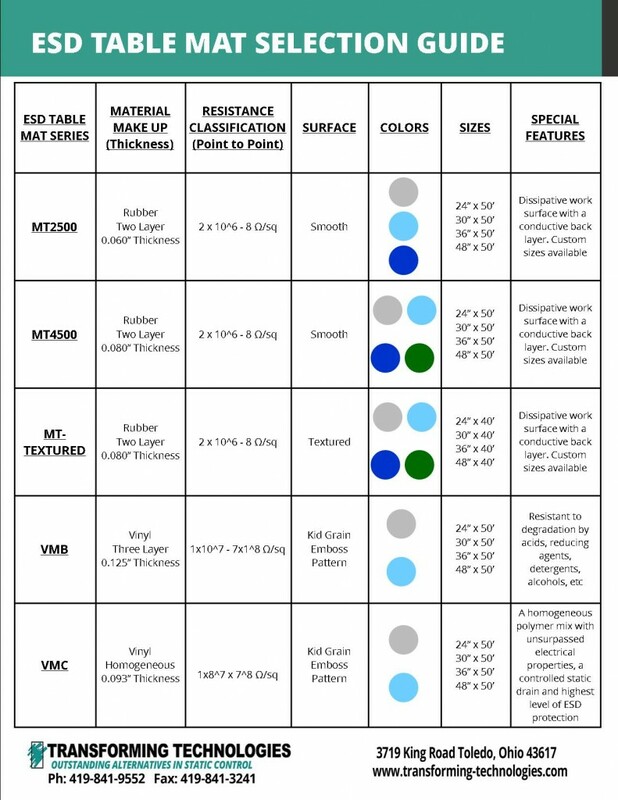 With the help of our new ESD Mat Selection Guide, we have condensed all the selection criteria such as material construction, resistance ranges, surface, color, style, or size into two separate charts for your convenience. All of our floor mats may be enhanced by a person(s) use of any of our heel grounders to ensure maximum groundability. Bring your ESD workstation to its optimal level by complementing your table mat surface with any of our ionizers, wristband sets, or constant monitors. 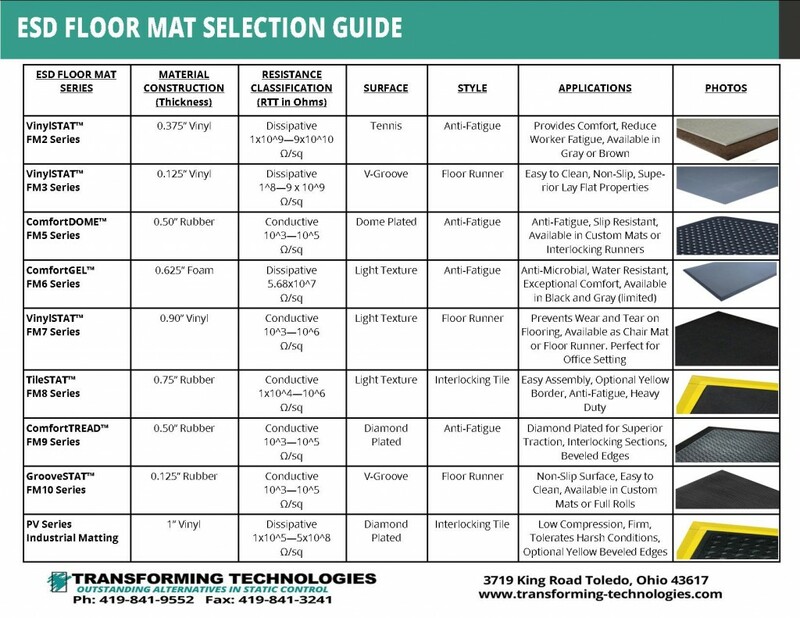 For price and availability on table and/or floor matting, or for information on any products in Transforming Technologies full line of ESD products, please call 419-841-9552 or email info@transforming-technologies.com. ESD FYI, Announcements, ESD Q& A ESD Floor Mats, ESD table mats permalink.